Ultrasound utilizes sound waves and is one of the most widely used modalities in sports medicine. It works through sound waves to help decrease pain; decrease joint stiffness; reduce muscle spasms; increase blood flow; resolve chronic inflammation. We also have a resting area in our office that includes hydromassage tables. 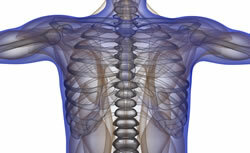 The physiological benefits of hydromassage include reducing muscles spasms, joint spasticity, and tenderness; increasing blood flow to the soft tissues, muscles, and joints, which stimulates healing; increasing joint mobility, allowing the patient to move with greater ease; releasing endorphins, which are neurochemicals that relieve pain; decreasing overall stress in the body.